We are proud to celebrate the New Millennium of Awakening . It is time to expand our consciousness once again and remember the true meaning of being human. We are here to provide a vessel to aide in remembering the connection that we as humans once had with the creator. It will be through this interface that we will be able to realize that we are truly more than we seem and we can once again reclaim our inheritance as fully realized multi-dimensional energetic beings capable of experiencing many different realities on multiple levels. It is now time to realize ourselves and evolve into true Galactic Humans and remember our true power through our love and devotion to each other. As we awaken, we begin the Journey of our remembrance and we each seek to find our own harmonic truths. When we all start to realize that the truth really will set you free. With this freedom, we are able to experience new reality based on a connection with our hearts and thrive on a new reality not based on fear but rather on love and compassion in our connection to all things. 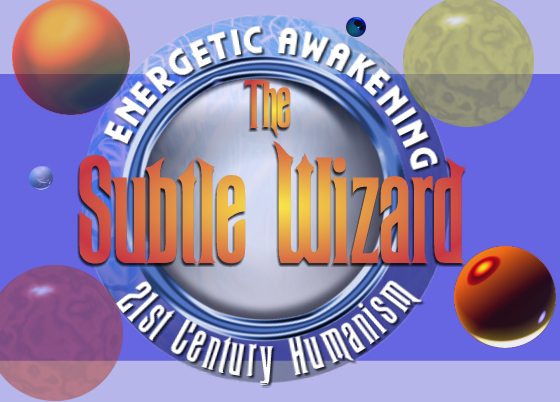 The Subtle Wizard Intends to offer resources to help you explore this rekindled connection and to help you find your truths as you continue along your path of spiritual growth. Please explore the site and all it has to offer. As we all grow, so shall the SubtleWizard ;so please come in and feel at home once again. "This is truly the Greatest most exciting time to be on the planet"